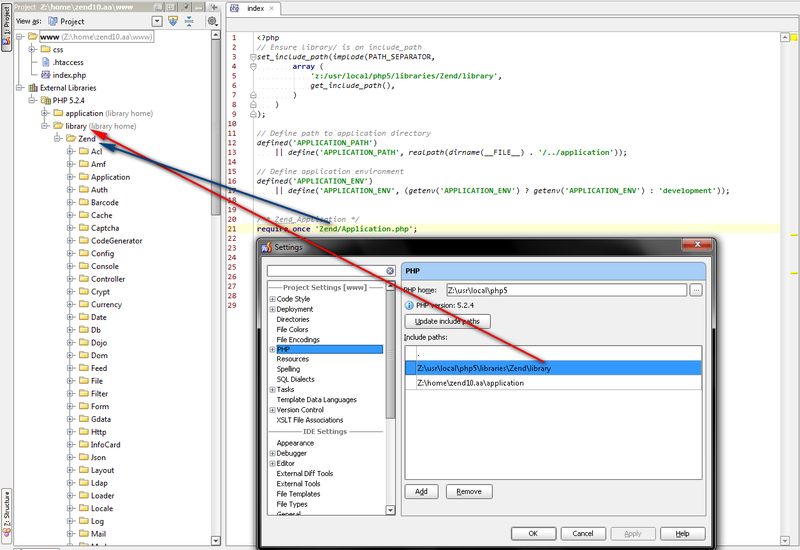 PhpStorm (Beta 1.0) don't wish to see Zend directory from external library. Maybe I should set up external library in some other way? I'm not quite sure how you managed to set the thing up like this, but you should look at Settings|PHP|include path instead. Use usual php.ini rules. Can somebody help me to set up correct include paths in PhpStorm? I'll get back to your problem after resolving immediate tasks. There were some bugs in include_path support code in builds up to 95.98. Fixed for next EAP. Should work "out of the box" now.